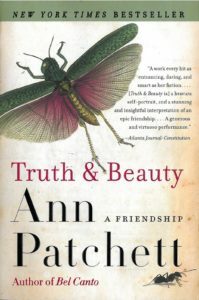 Book Review: Truth & Beauty: A Friendship by Ann Patchett. After reading that paragraph, I knew there was something important in her book that I needed to read, so I bought the book and patiently waited for it to arrive. When I finished it, I thought, this was not at all a pornographic story, this is a story about a person (Lucy Grealy) who struggled as a young girl due to something completely out of her control. She had a rare cancer that required medical procedures that disfigured her face to remove the cancer, followed by years of medical treatment that never allowed the developing young girl to live a normal life. This is a story of friendship that formed between someone who was amazed by Lucy’s strength, but who also saw Lucy’s weakness, and tried to be a friend to help her get through. This is a story of a friend who witnessed Lucy receiving both bad treatment due to her disfigured face, and enjoying life among those who cared for her. Most importantly, Ann Patchet saw the loneliness that Lucy struggled through. This truly is a story about forming an unusual friendship, a friendship that did include love, but love as a friend, not the stupid exaggerations written about by people who had never read the book. Ann Patchet was able to capture the story of a struggling life, in which she describes the actions of a young lost girl who was responding to an unfair start in life. A girl who never seemed to have an ending to her struggles. This is a story of how people in general treated the young girl, and how she fought back with her strength, when really inside she was scared and lonely. It is a beautiful story, about love, friendship and much more. And spoiler alert, it does not have a happy ending, not for Lucy at least. But it is a true story, and reality doesn’t always end well. This story exemplifies how our society values the wrong things, such as beauty on the outside instead of beauty found on the inside. A good read. It will change your perspective of how you look at others, and maybe even how people treat others when they look a little different. 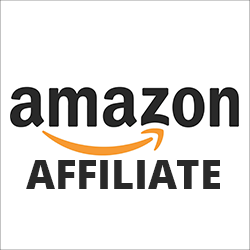 Nature's Complement is a participant in the Amazon Services LLC Associates Program, an affiliate advertising program. If you purchase products on Amazon through any of our affiliate links, we get a small percentage of the transaction, at no extra cost to you. We spend a lot of time writing the articles on this site, and all this information is provided free of charge. When you use our affiliate links, you support the writing you enjoy without necessarily buying our products. (However we would appreciate if you would do that too!) Thank you for helping to support our work, however you choose to do so. These statements have not been evaluated by the Food and Drug Administration. This information and/or products are not intended to diagnose, treat, cure or prevent any disease. Sign up for our Tobergram newsletter! Support Nature's Complement by shopping using our Amazon affiliate link!